Peppa Pig is an absolutely massive character these days, with millions of children completely in love with the porky adventures of a regular piggy family. Now, with this official activity app, kids can explore new content in a fun and interesting way that will also teach children, and parents, how to get making at home. The app features 32 activities, but the difference between this and many other apps of this type is that the activities are not simply mini-games contained within the app. Here, the activities are out in the real world, for you and your child to complete together. It is a great idea, and one that gets you away from your phone screen and out doing fun things with your kids. The activities are diverse, from bubble painting to going on a bug hunt. Each activity has a suggested time span, which makes it easier to decide whether you have time to attempt it right now, as well as telling you whether it is indoors or outdoors, which again is great for helping you to decide what to do. You can also filter the activities displayed using these variables. No adverts, no in-app purchases, just lots of creative fun! 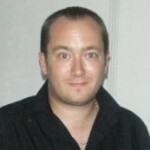 There are also four videos included, to help you understand how to complete certain activities. It is a small touch, but much appreciated. 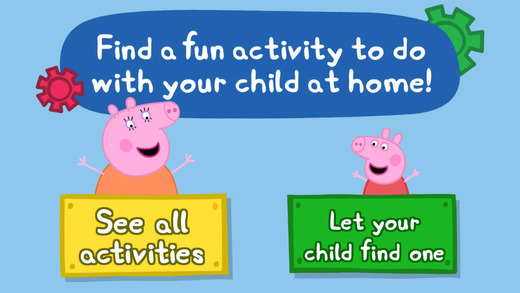 The activities are beautifully presented, and all feel like they belong in Peppa’s world, as you and your child complete the activity alongside the eponymous pig. The various animations throughout the app all help to draw you into things and the artwork is to a very high standard throughout. This is the kind of app that can genuinely become a real part of your child’s day, and can be something they really look forward to, and with the built-in filters, you can easily control which activities are displayed so that it fits into your life. The app is completely free to download, with no adverts and no in-app purchases, which is always nice to see. Overall, this is a well designed app that takes a good idea and runs with it. 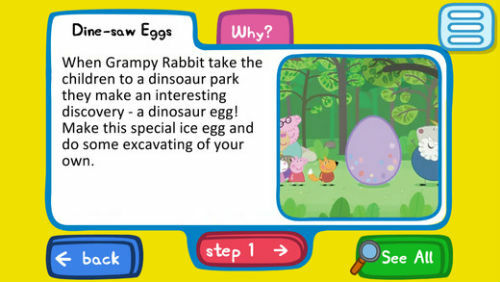 If your children love Peppa Pig, then this is an essential download, and is still worth a download if they only have a passing interest, or if you are looking for a kids app that is a little bit different. Note: you can also grab this app on Android here.